CEFC China Energy Chairman Ye Jianming, under investigation in China over suspected economic crimes, will step down from his position at the Chinese conglomerate, a company executive and the Czech Republic president’s office said. The news came as CEFC’s Czech subsidiary CEFC Europe pulled plans for its biggest deal in Czech Republic yet and the CEFC executive told Reuters the company was in talks for state-run CITIC to take a stake in the unit. The once-acquisitive private firm, which has agreed to buy a $9.1 billion stake in Russian oil major Rosneft, is expected to make an announcement on Ye’s exit soon, a Beijing-based company executive briefed on the matter told Reuters on Tuesday. He declined to be named due to the sensitivity of the matter. A CEFC spokesman said he could not confirm the move. CITIC could not immediately be reached for comment. Beijing has been seeking to curtail big-spending conglomerates in a crackdown on financial risk. The Chinese government seized control of Anbang Insurance Group Co Ltd in February and said its chairman had been prosecuted. Ye’s planned departure and the overhaul of CEFC’s European business come after Reuters and other media reported earlier this month that Ye, who founded the company in 2002, had been investigated for suspected economic crimes. Concerns have also mounted about the finances and opaque ownership of the company, which has grown in a few years from a niche fuel trader into an oil and finance conglomerate with assets across the world. Reuters reported the group has scrambled to secure short-term funding, while Guosheng Group, an investment firm owned by the Shanghai government, has been tasked with evaluating CEFC’s financial position as part of a restructuring and takeover process. State-controlled China Huarong Asset Management Co has taken a 36.2-percent stake in CEFC Hainan International, the unit which is acquiring the Rosneft stake. CEFC China Energy said at the time of news of the probe it was “operating normally” and that media reports about Ye “had no basis in fact”. Shares in subsidiary CEFC Anhui International Holding Co Ltd were suspended on Monday afternoon pending an announcement. 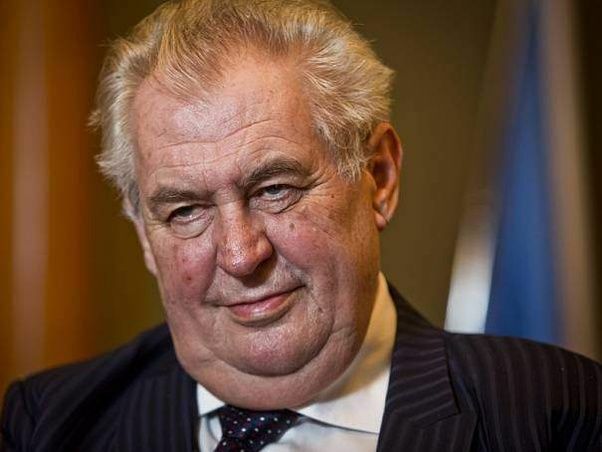 The office of Czech President Milos Zeman disclosed on Monday the first details of a visit by two aides to China last week aimed at seeking information about Ye. CEFC told the delegation Ye was leaving his post and the company’s shareholder structure, while the Shanghai government and other state officials confirmed he was being investigated on “suspicion of breaking the law”, it said in a statement. The delegation met with CEFC President Chan Chauto. Also on Monday, CEFC’s Czech-based unit CEFC Europe dropped its plan to raise its stake in Prague-based J&T financial group, a bank and investment vehicle, to 50 percent from 9.9 percent. It would have been CEFC’s biggest deal yet in the country. It also has stakes in Czech brewery group Lobkowicz, Prague soccer club Slavia Praha, the national airline, hotels and real estate. A spokeswoman for J&T said the move was a “logical conclusion of the current situation”. CEFC Europe said the firm’s activities in Czech Republic would continue, and a new unnamed Chinese shareholder would join the firm. Bonds with a total value of 14 billion yuan ($2.21 billion) issued by CEFC Shanghai International Group have been halted since early March and a major domestic credit rating agency downgraded the unit.